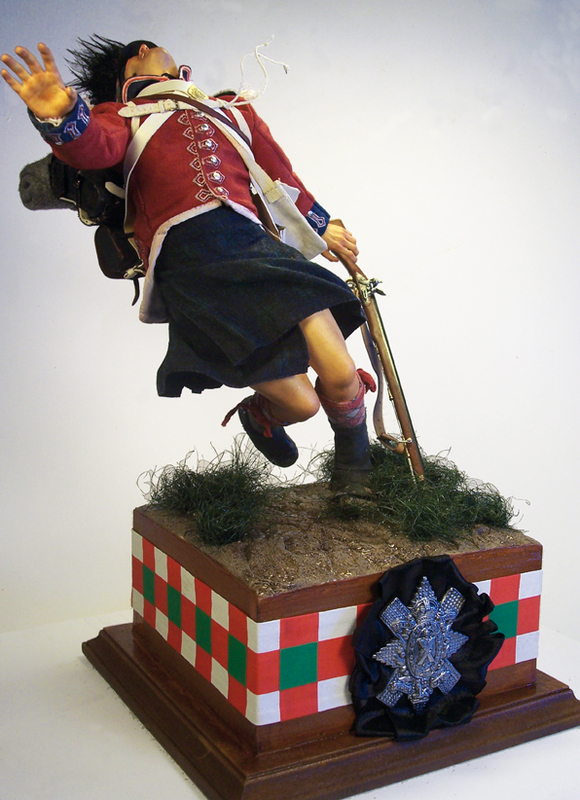 The 42nd (Royal Highland) Regiment of Foot was a Scottish infantry regiment in the British Army also known as the Black Watch. 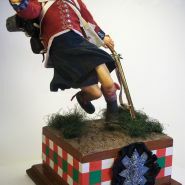 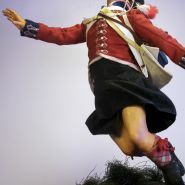 Originally titled Crawford’s Highlanders or The Highland Regiment and numbered 43rd in the line, in 1748, on the disbanding of Oglethorpe’s Regiment of Foot, they were renumbered 42nd and in 1751 formally titled the 42nd (Highland) Regiment of Foot. 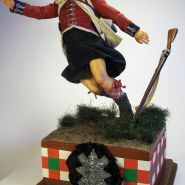 In 1881 the regiment was named The Royal Highland Regiment (The Black Watch), being officially redesignated The Black Watch (Royal Highland Regiment) in 1931. 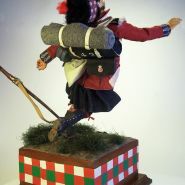 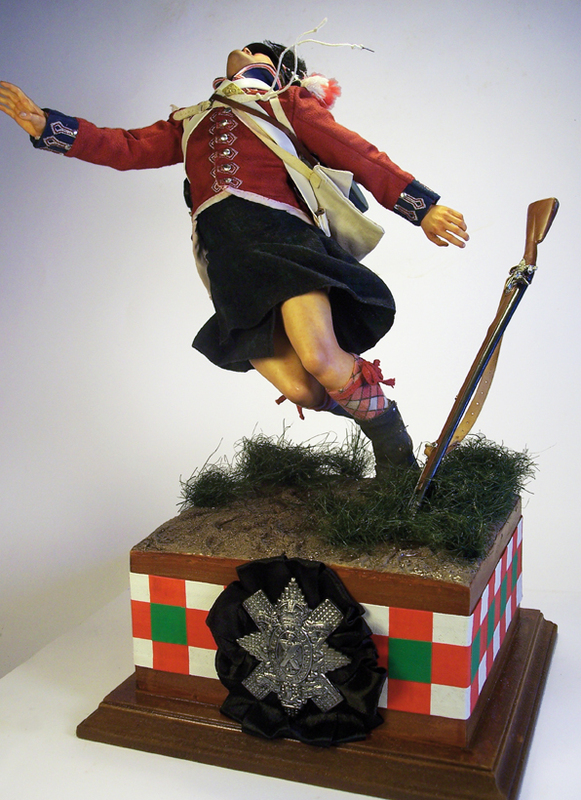 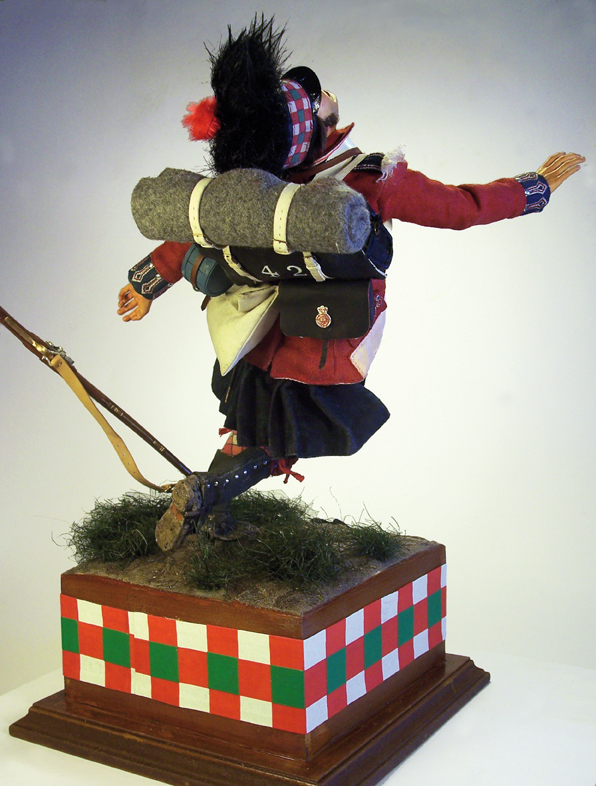 In 2006 the Black Watch became part of the Royal Regiment of Scotland. 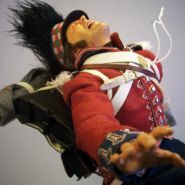 The 42nd Btl fought at the chaotic Battle of Quatre Bras on 16 June 1815 under Lieutenant-colonel Sir Robert Macara, who was killed by French lancers. 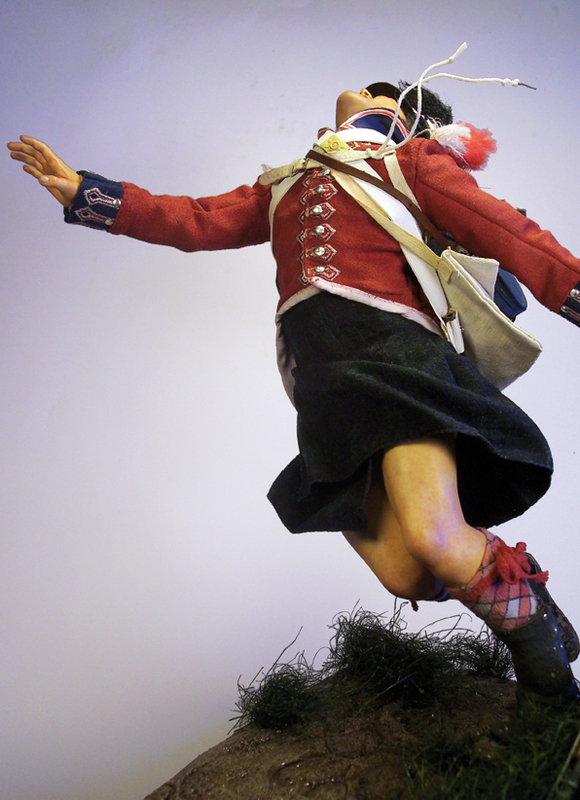 The 42nd was one of four battalions mentioned by Wellington in despatches after the battle. 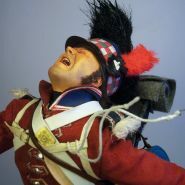 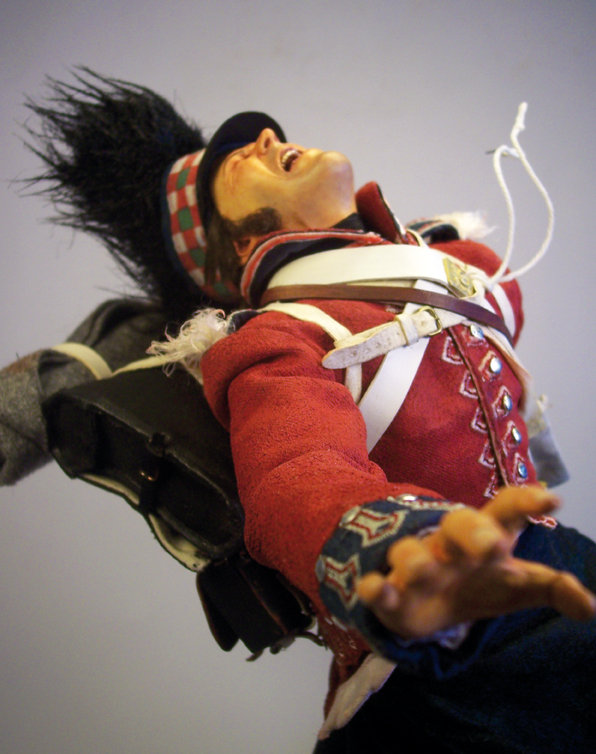 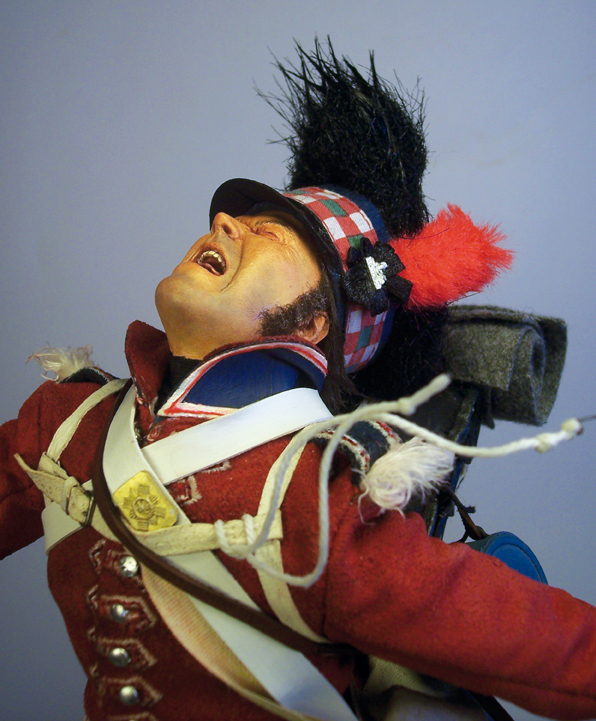 Two days later at the Battle of Waterloo, the 42nd and also the 2nd/73rd Highlanders, which was later to become the new 2nd Battalion, Black Watch, were both in some of the most intense fighting in the battle (Font Wipedia).